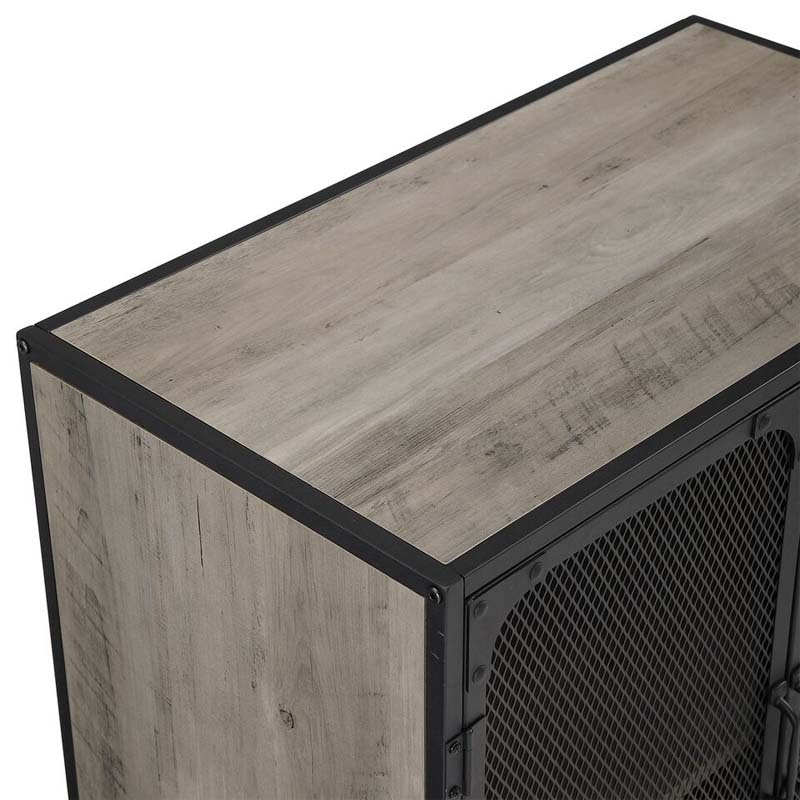 More on the Walker Edison Urban Industrial 32 in TV Stand (Grey) AF30SOICGW below. 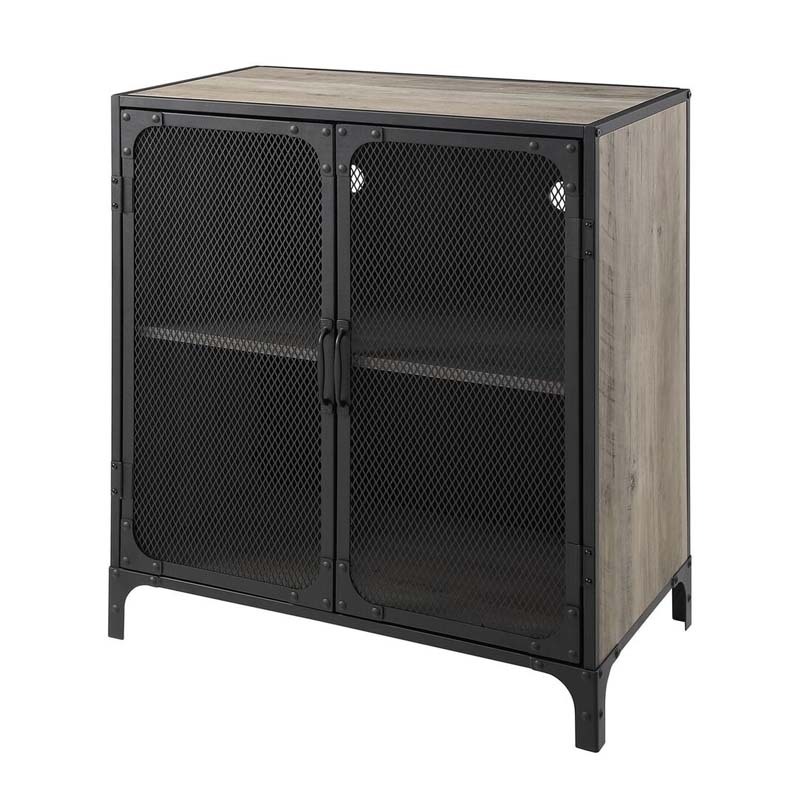 With a beautiful two-toned composition, this wood and metal cabinet will give you the extra storage space you need, while also adding an urban industrial feel to your home. Place in your living room as a TV console for your electronics, in your kitchen as a storage console for your fine china or décor, or as an accent cabinet in your bedroom for a rustic element. The shelf inside is adjustable to better fit your needs. 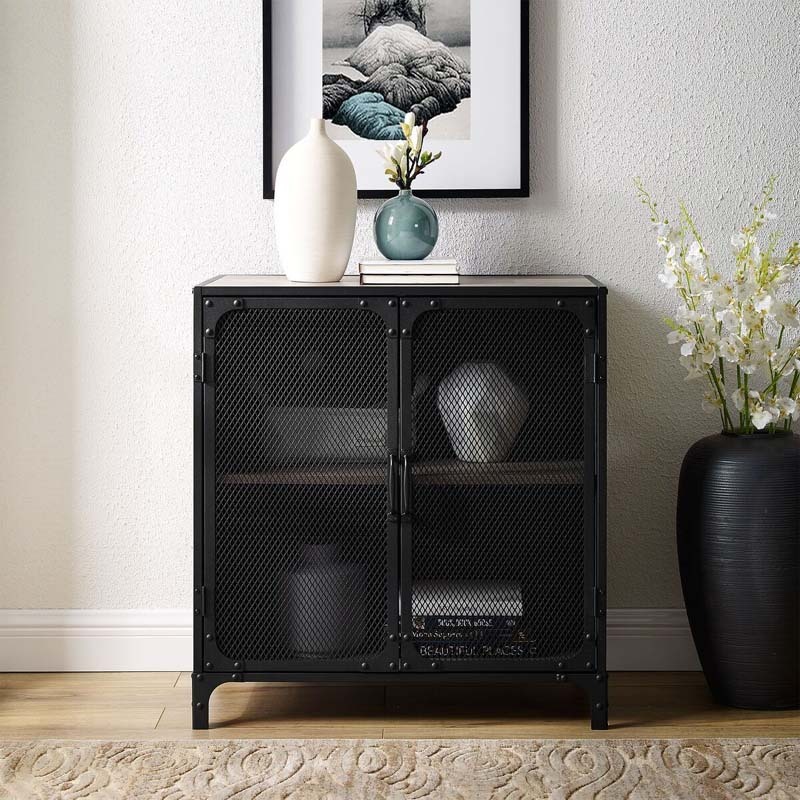 With metal edges, mesh metal doors, a laminate finish, and hardware detailing, for an overall industrial piece. Also available in Rustic Oak finish. Matching 36 inch bar cabinet and 60 inch console available as well. See related products below.